We've always loved a good summertime hot dog, placed lovingly in a soft simple bun with ample ketchup and mustard. But after eating hot dogs this way and this way alone for the majority of our lives, we grew tired of the same old thing. Enter: The search for the 10 best hot dog hacks we could find. Backyard summer diners, get ready—your dog game is about to get hot. No ketchup or mustard required. Give your dogs a slice down the middle lengthwise and stuff them with your favorite cheese. Then, wrap bacon tightly around them (the tight wrap is crucial if you don't want just a hot dog with a bacon tail) and secure in place with toothpicks. 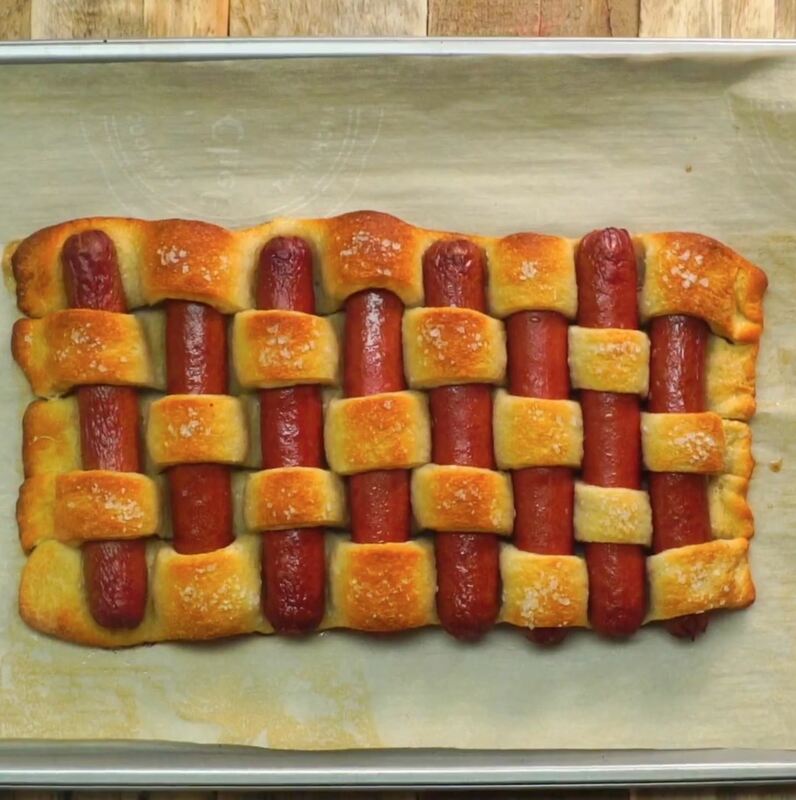 If you're wanting to make appetizers rather than a main dish, slice the hot dog into pieces to make them bite size. A gooey surprise will await your eager eaters. The only thing better than hot dogs and pretzels separately is hot dogs and pretzels together. Follow Pillsbury's instructions for making your pretzel weave, and set your artistic snack out with appropriate dipping sauces (homemade mustard may be our favorite). 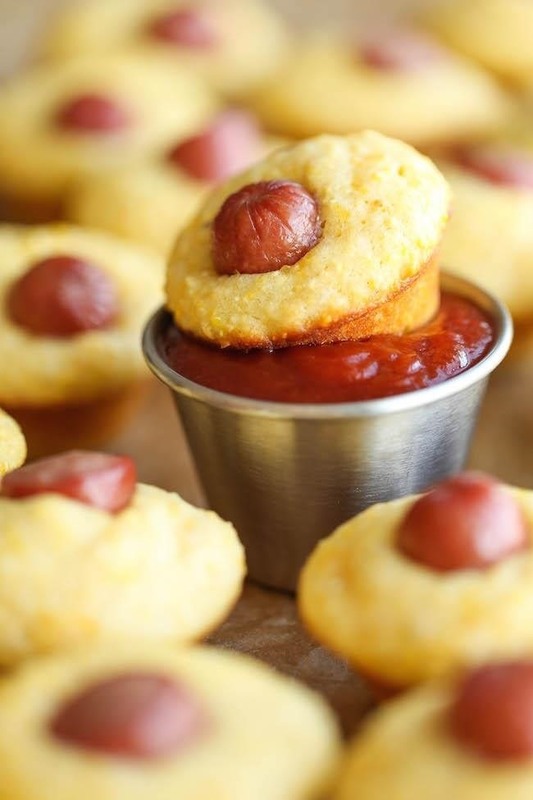 We once made these corn dog muffins as a kids' snack for a catering gig. Not surprisingly, the adults ended up loving them just as much as the munchkins did. They're great served at a gathering with a bowl of summer veggie chili and cold lemonade. They're not as messy as traditional corn dogs, and they certainly taste just as good. 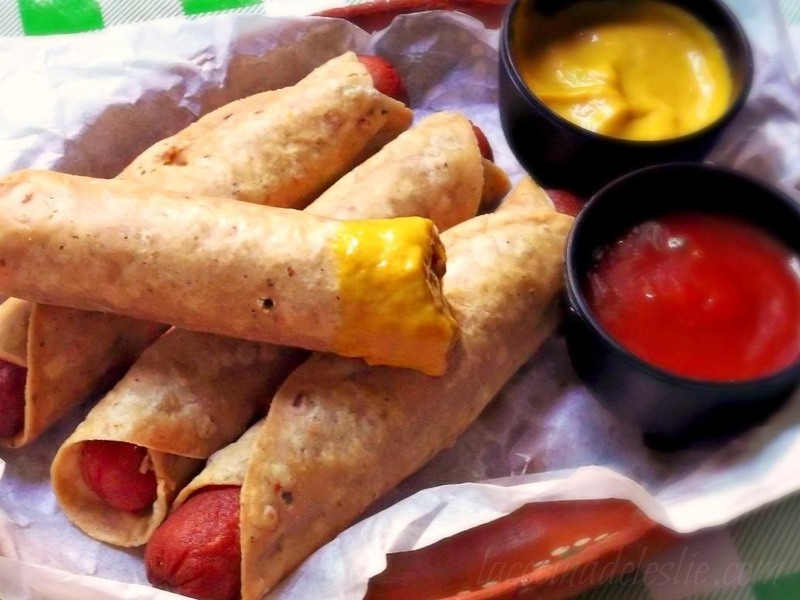 La Cocina de Leslie has the right idea: hot dogs turned into crispy tortilla-wrapped rolls of wonder. They're a popular street food in Mexico, she notes, and make for an epic snack while watching a game. Be forewarned: they're addictive. It's been said that the key to creating crispy dogs that are evenly cooked is to spiralize them. 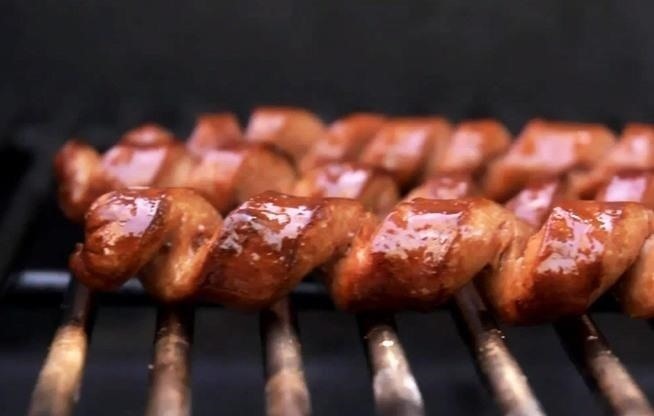 You skewer the dogs lengthwise, make your cuts, and before you know it, you'll have the best-tasting, niftiest-looking barbecued hot dogs ever to hit the grill. Don't Miss: Turn Veggies into Noodles—Which Spiralizer is Right for You? 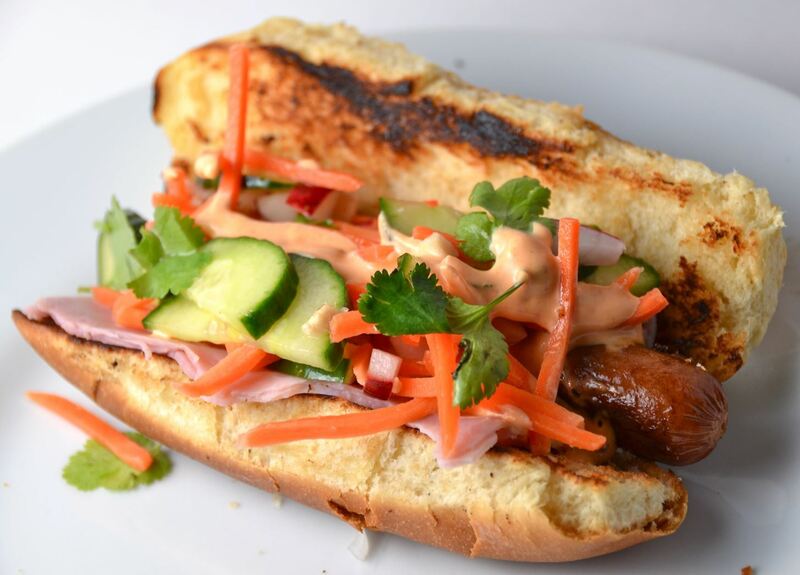 Give your hot dog a Vietnamese twist by adding sliced cucumber, shredded carrots, fresh cilantro, purple onion, and a bit of spicy mayo. For an even bigger kick, opt for jalapeño or habanero peppers as the final ingredient. 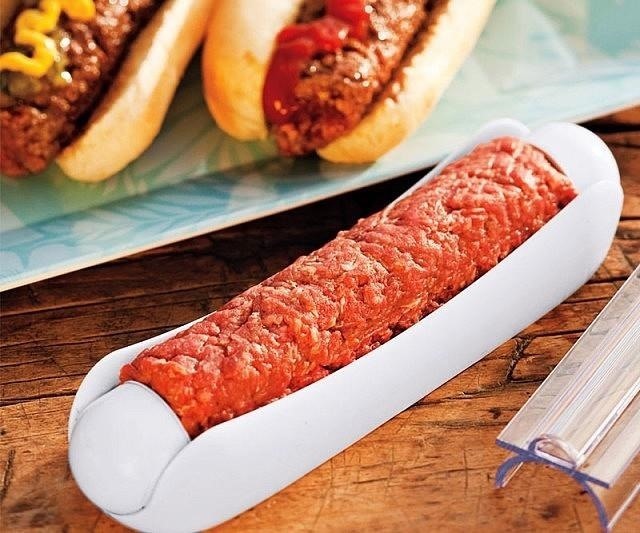 If you're feeling extra rebellious, make yourself a hot dog from hamburger meat (in other words, make a "ham dog"). Use a ham dog shaper to make a totally tubular cylinder that is perfectly disguised in a hot dog bun. You could even make it with ground turkey for a beef-free ham dog. Fool your friends, fool yourself even... but nobody will be disappointed, because it looks really delicious. 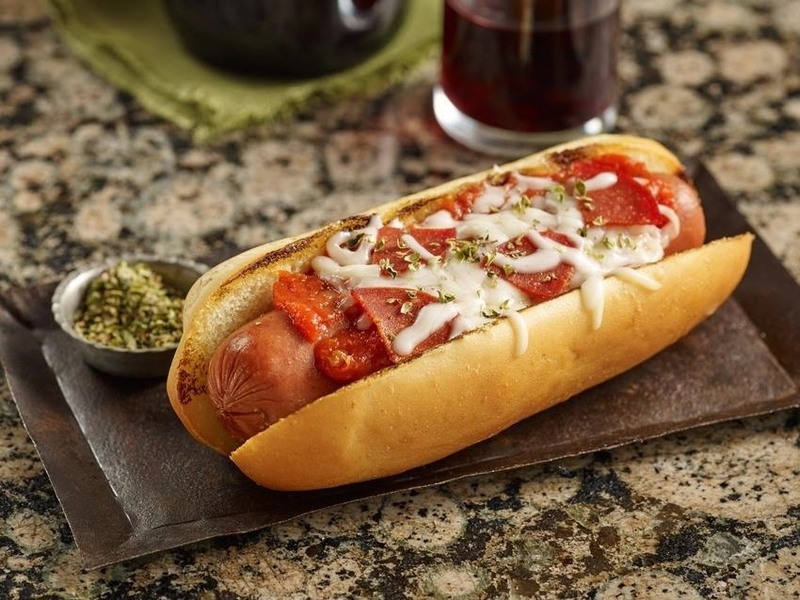 If pizza pight rolls around, but you're craving a hot dog instead—no need to choose one favorite over the other. Simply turn that dog into a pizza dog! All you'll need is a hot dog, some pepperoni, a bit of mozzarella, and pizza sauce. You'll be saying "hot dog, that's amore!" in no time flat. Combine two of your childhood favorites—French fries and hot dogs—into a one-stick feast. It's known as a South Korean corn dog, and you can totally do it in the comfort of your own kitchen. 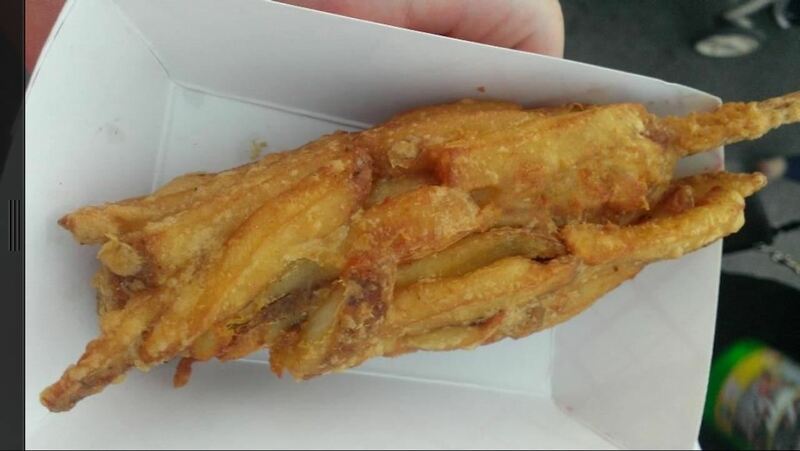 If this type of dog sounds like the perfect summertime treat, check out The Last Appetite to see how to officiate at the perfect marriage of french fries and hot dogs. You'll be saying "I do!" Merely stirring slices of hot dog into mac and cheese is so yesterday's news. 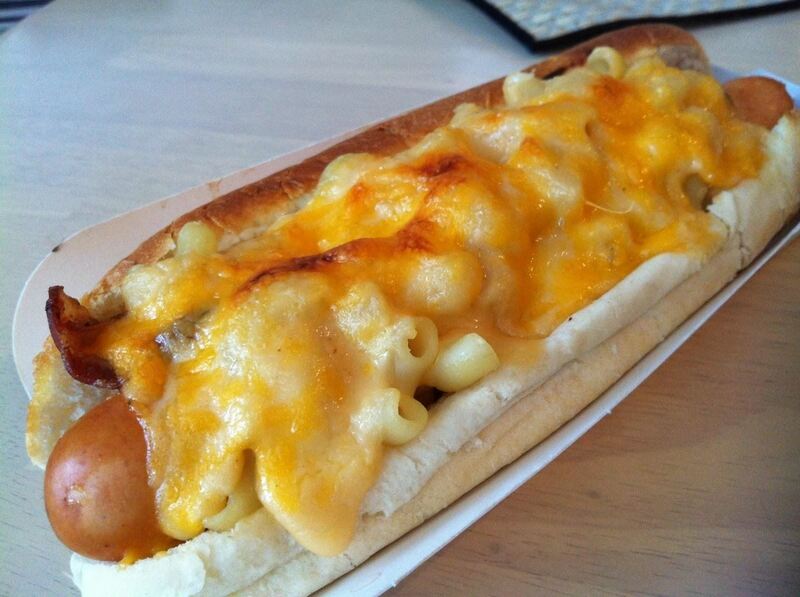 Layering mac and cheese atop an entire hot dog is all the rage now. The creamy cheese, the chewy macaroni, the smoky hot dog... they were made to go together, and this newfangled approach makes them even easier to enjoy. Place just these two kid-friendly food favs on a bun and you have a delicious combo; top them with ketchup and you have a portable party. It's never too late to have a happy childhood, is it? 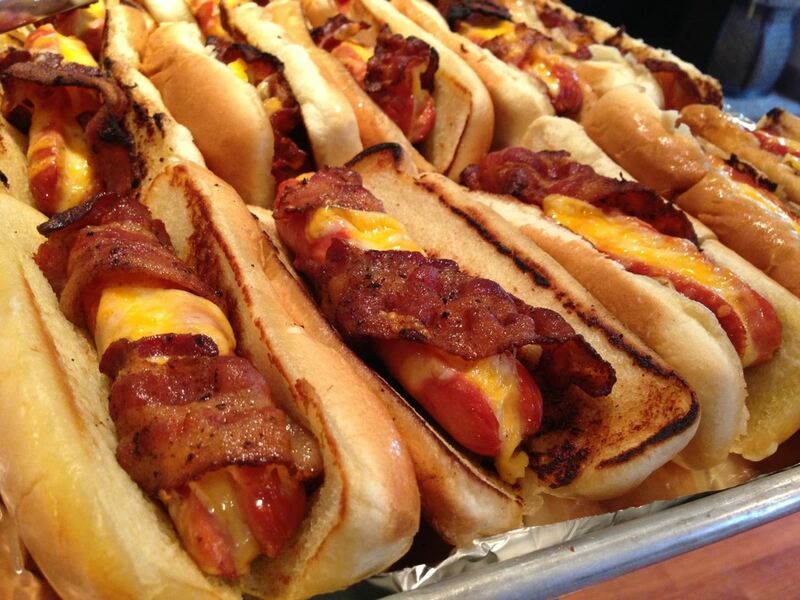 The version below, from the Dougie Dog truck in Vancouver, Canada, actually contains a slice of bacon and slice of cheddar, making this already deadly dinner even more decadent. Slide your mac dog under the broiler to bubble up the top and make it even gooier. 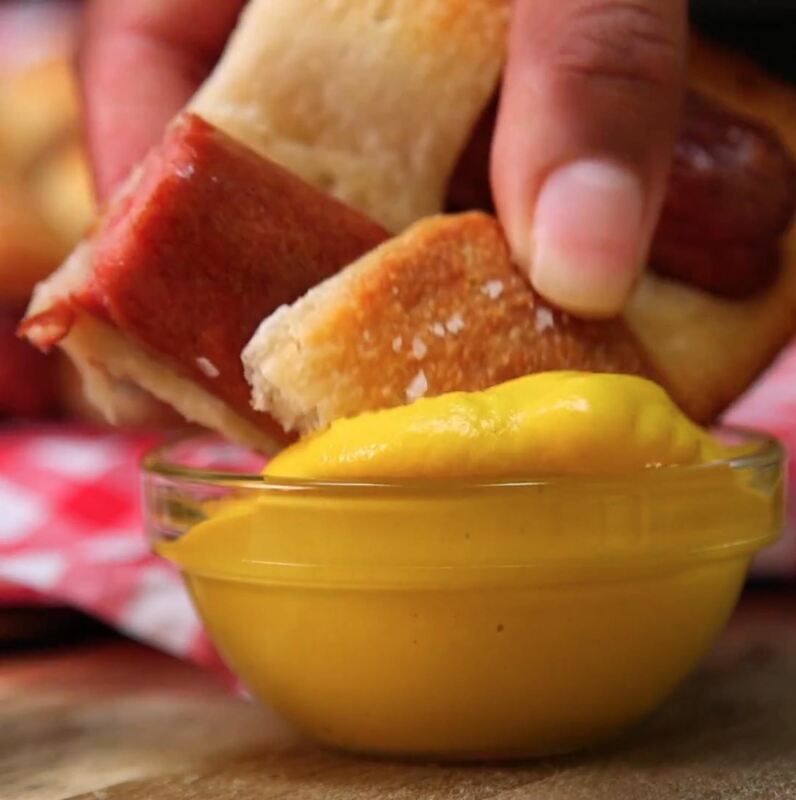 Our hope is that these hot dog hacks can give you what they have given us: Excitement about the upcoming hot summer days and ways to can expand your hot dog repertoire while you enjoy them. What are your hottest hot dog tricks? Share them with us in the comments! It is just a mind blowing post!